When Joe Zerilli died on October 30, 1977, a high official declared he probably took more crime secrets to the grave with him than any boss who had died in the past decade, including Frank Costello. In the early 1920s, Detroit was not a Mafia town. Instead, it belonged almost exclusively to the Jewish gangsters of the Purple Gang and to smaller Purple rivals, including the Little Jewish Navy. The name of the Detroit crime game was booze (although jewel robberies, hijacking and extortion were common as well), and the Purples were determined to control it. In the process, they committed upward of 500 gang murders, on a per capita basis probably far outdistancing Al Capone's gangland hits in Chicago. The Purples had the ability to work well with mafiosi, and during the Detroit gang wars they imported Yonnie Licavoli and his gunners from St. Louis. They also worked well with Gaspar Milazzo and another fast-rising Sicilian gangster, Joseph Zerilli. The later Licavoli family split its time between Detroit and Cleveland (as did such Purples as Moe Dalitz). Milazzo was assassinated in 1930 by New York mafiosi fighting their own Old World wars. Zerilli rose to the top as the Purples pulled out from the local rackets to take far more lucrative positions in the national syndicate's gambling enterprises elsewhere. Zerilli had come to the United States from Sicily at the age of 17 and started out as a pick-and-shovel laborer. Joining with the Purples in a number of criminal activities, he eventually built an illegal operation that ran up profits of $150 million a year from such enterprises as loan-sharking, extortion, narcotics, bookmaking and labor racketeering. Unlike some mafiosi, Zerilli did not turn his back on prostitution. Anything that made money Zerilli wanted. As a Detroit citizen, Zerilli posed as a baker-businessman. He lived in a $500,000 home on a 20-acre suburban estate, quite an accomplishment for a breadmaker. As a Detroit don, Zerilli was personally involved in several murders, but, throughout his lifetime was convicted only twice, paying fines for such gross offenses as speeding and carrying concealed weapons. Highly honored as a godfather, Zerilli was for a time one of only two non-New York members of the national commission. He did not play a role in the national organization of crime, however, because he respected the rights of other bosses to rule their own territories, and he always demanded that same right for Detroit. Zerilli retired from control of the crime family business in his early 70s, successfully installing his son as his successor, something other dons have tried and failed to do. It was different in Detroit. The Zerilli touch had been perfect, and no one wanted to tamper with what old Joe Zerilli said would work. But in 1975, the elder Zerilli was forced to return to the helm, in part because his son received a four-year sentence for conspiring to obtain a hidden interest in a Las Vegas casino. Also pending was the very troublesome matter of Teamsters boss Jimmy Hoffa. Hoffa was becoming hard-of-hearing. 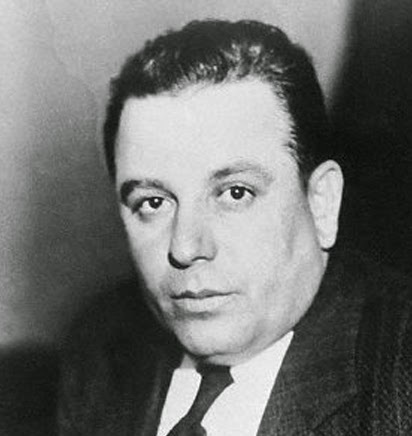 Zerilli through his top lieutenant, Tony Giacalone, as much as any mafioso had made Hoffa, and Detroit had informed the labor leader after his release from prison to cool it, that everyone was happy with Frank Fitzsimmons running the Teamsters. Unfortunately for Hoffa, he kept right on coming. Exactly who was responsible for Jimmy Hoffa's disappearance and evident murder on July 30, 1975, is unknown. The conventional wisdom cites Pennsylvania–upstate New York boss Russ Bufalino and New Jersey mafioso Tony Provenzano as the likely assailants. However, the man Hoffa was slated to meet outside a Detroit-area restaurant was Zerilli aide Giacalone. Hoffa was snatched in Detroit and probably killed there. If Joe Zerilli insisted on any one thing, it was control of his turf. Nothing was ever done in Detroit by other mafiosi without his approval, and he was never known to tolerate any outsiders handling rubouts in his area. If a murder was done in Detroit, he not only had to be requested to allow it, but also had to handle it. Zerilli was the kind of old Don who insisted on such protocol. Once, a Detroit mafioso, Nick Licata, fell into disfavor with Zerilli and fled to Los Angeles. Zerilli notified Jack and Tom Dragna that Licata was there. Acknowledging a sort of Golden Rule in crime, Zerilli would never have dreamed of going into L.A. territory in violation of the Dragna rights there. Instead, he suggested rather than requested (which would have been binding) that L.A. carry out the hit. Consequently, Zerilli did not object when the Dragnas decided against the hit, and even took Licata into the family. It was, Zerilli held, their right to do so. All he ever insisted on in return was that he decide on all hits in Detroit, and there are those observers who feel that the Hoffa matter was completely a Joe Zerilli operation. The police never got a word out of the old man on the Hoffa disappearance.